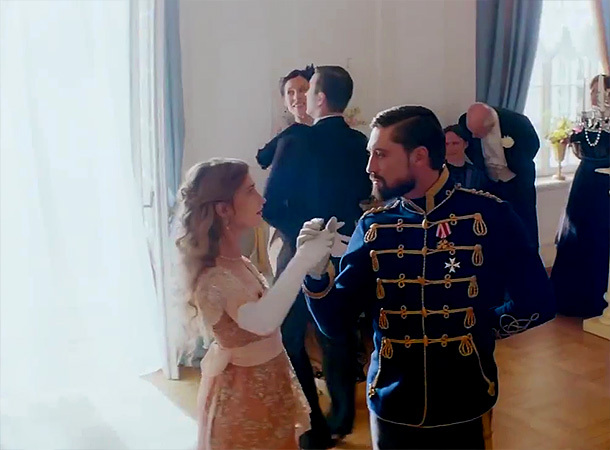 Film "The Hero" (The Heritage of Love) - a touching love story of a young Princess Vera Chernysheva (Svetlana Ivanova) and Lieutenant Andrew Dolmatov (Dima Bilan). 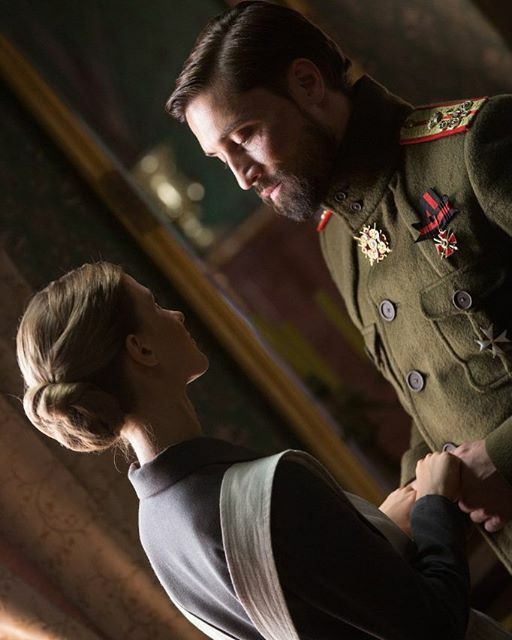 Their feelings have to go through many trials: the First World War, a long separation, endless riots. But true love, as we know, conquers all. 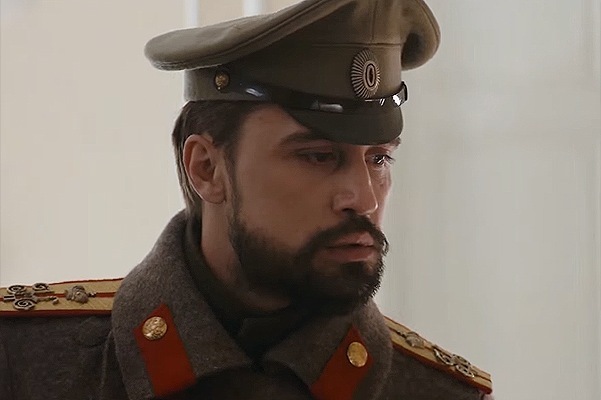 In an interview Dima Bilan spoke about his character, difficulties on set and the relationship between music and cinema. - Dima, what inspired you to start acting? - I wanted to change something in my life. Set a new course, to find a new meaning, to be in the risk situation. To get a taste of life. And I got it. Even more than I had expected. - Why are you attracted to historical genre? - Many times I met with the director and producer, we talked for a long time, about six months. I really liked these people, liked this story. In addition, on some entirely subconscious level, I was thinking of my own family: my great-grandfather served under Nicholas II. This is our family pride. But I have fully realized it on the set, in the second or third day. That's when I finally realized that I had done everything right. Maybe if I was offered some other role, I would have agreed. 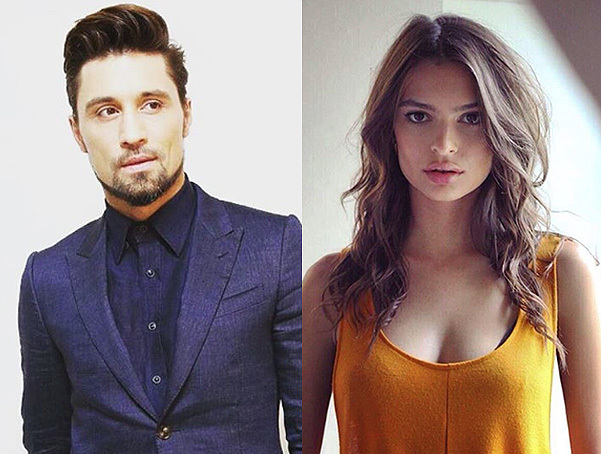 But I knew from the beginning that if I want to get in touch with the cinema world, then I should start not with a comedy and not with a role of Dima Bilan, jumping in a T-shirt around the stage. - Was it easy to grow into the role? - I can not judge the final result. But on the set, I completely harked back to that time and that mood. 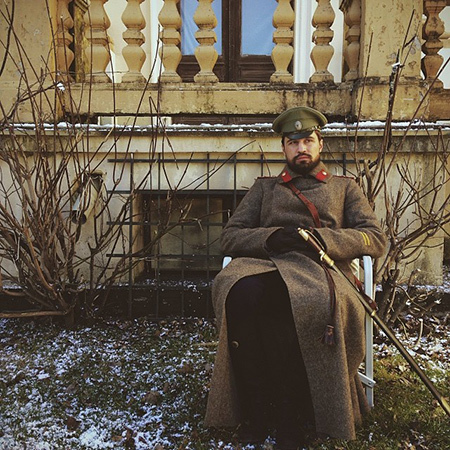 A little more and I would have believed I was him [Lieutenant Andrew Dolmatov, who lived in the time of the Romanov dynasty - approx. Ed.]. I remember once after filming the next scene, I went outside. There were people drinking tea, having lunch ... I could let my inner feeling go during the break, but I could not. I was still living the part of Andrew Dolmatov and walked with a crooked back, holding a plate with some meatball. Somebody tried to speak with me, and I looked at them, frowning as though in pain, because I really got into the part of Lieutenant, who was ill. I had been like this to a few days. This experience was very interesting to me. - What was the most difficult thing on the set? 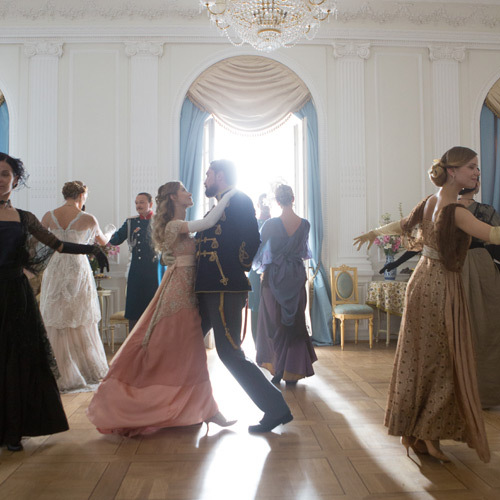 - It was a very difficult period after two weeks of filming The Heritage of Love. I don't deny that it's monotonous for me.... I used to lead unpredictable lifestyle. And it was difficult to reorganize. And, of course, there were not very comfortable weather conditions. But I dealt with it. I am familiar with the crew's work environment. I know how to handle with cameras, how to look at them. But I wanted to be in tune with the professional filmmakers, to be upon an equal footing with them. That's why I often came to the shooting early and always hard on myself. - Did you miss music during the filming? - I did not give up my music. I even wrote in my spare time. Over the weekend, I sat down and wrote something. And I was listening a lot of during the filming. Pretty tough music. While filming in Vilnius, I listened to Muse band, their song “Supremacy”. 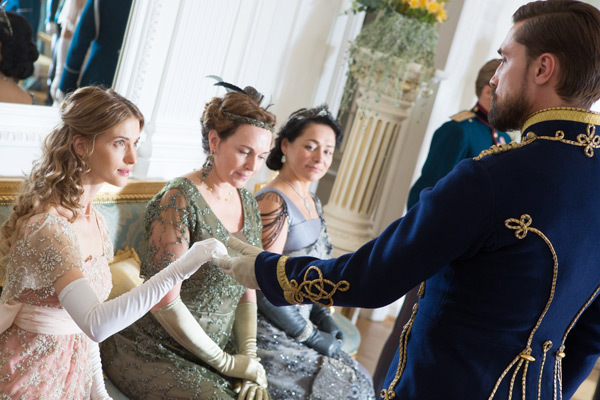 My role was fully corresponded with the text, and I was really excited. Then I even offered to sing this song to Alexander Bon on "The Voice" - in fact, I was so deeply moved by this -- I realized that there were a lot was hidden meanings in it. So everything is applied, as you can see. Everything is connected. 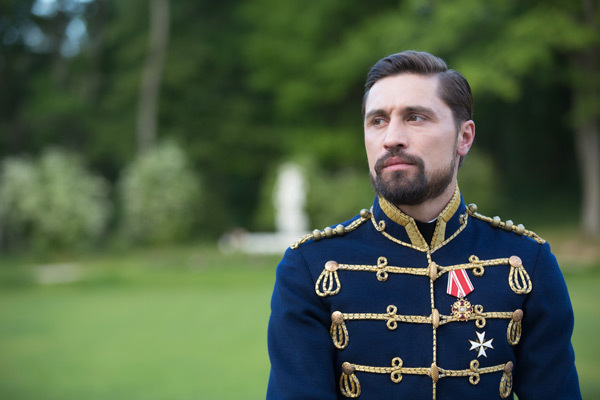 Dima Bilan will play in the new film "Midshipmen"